On Monday night at MetLife Stadium, the struggling New York Giants fell to the Detroit Lions. It was a game full of very interesting moments. In recent seasons, the Detroit Lions and New York Giants have relied on their talented quarterbacks and passing attacks, and less on their ground games. But one reason Jim Caldwell’s team is now 2-0 and Big Blue is looking for its first win of 2017 is balance. It’s something the Men from Motown have missed as of late. But this is now a different looking team, at least on offense. 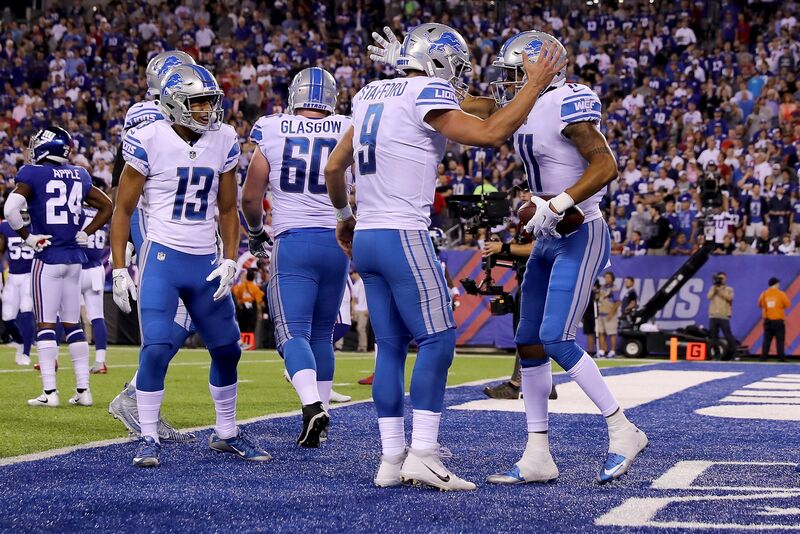 The Lions went into MetLife Stadium on Monday night and had their way with the host Giants. Detroit’s 24-10 victory featured an attack that totaled 32 running plays for 138 yards. And quarterback Matthew Stafford and the aerial attack did its share as well. Meanwhile, make it eight consecutive games dating back to last season (including playoffs) that Ben McAdoo’s squad failed to reach the 20-point mark. The man making the big bucks these days did a lot of everything on Monday night. Stafford connected on 15 of his 21 pass attempts for 122 yards and touchdown throws to wide receiver Marvin Lewis and tight end Eric Ebron. The nine-year pro also contributed with his legs via three carries for 23 key yards. Detroit’s pass-rushing force seemingly spent more time in the New York backfield than any Giants’ running back. The hard-charging defender totaled six tackles and three sacks of New York quarterback Eli Manning. The Lions’ defense held the Big Blue ground attack to 55 yards. Along with cornerback Darius Slay, the steady linebacker led the Lions with eight tackles on Monday night. And his hustle also resulted in an interception of Eli Manning off a deflection. The Giants opened as five-point favorites last week. That made perfect sense considering the Lions were 3-5 on the road in 2016 and also fell at Seattle in the NFC Divisional Playoffs, 26-6. But Detroit came away with a 14-point road win. The 2-0 Detroit Lions return to Ford Field and will clash with the defending NFC champion Atlanta Falcons. Meanwhile, the winless New York Giants go back on the road against a divisional foe for the second time in three weeks. They make their way to the City of Brotherly Love to face Doug Pederson’s Philadelphia Eagles.